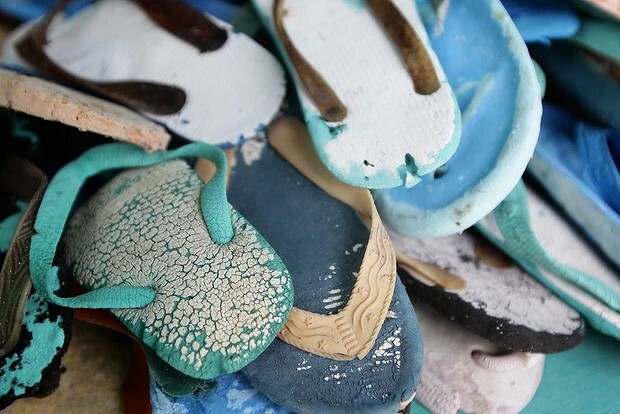 On the Cocos (Keeling) Islands, halfway between Australia and Sri Lanka, artist Emma Washer is creating treasure from trash. ''The themes I have running through my work constantly change" she said, "but the core idea of being mesmerised by using these colourful fragments of other people's lives washed up after travelling across the whole ocean to be reworked to create another story I have never tired of." Click the photograph below to read more.